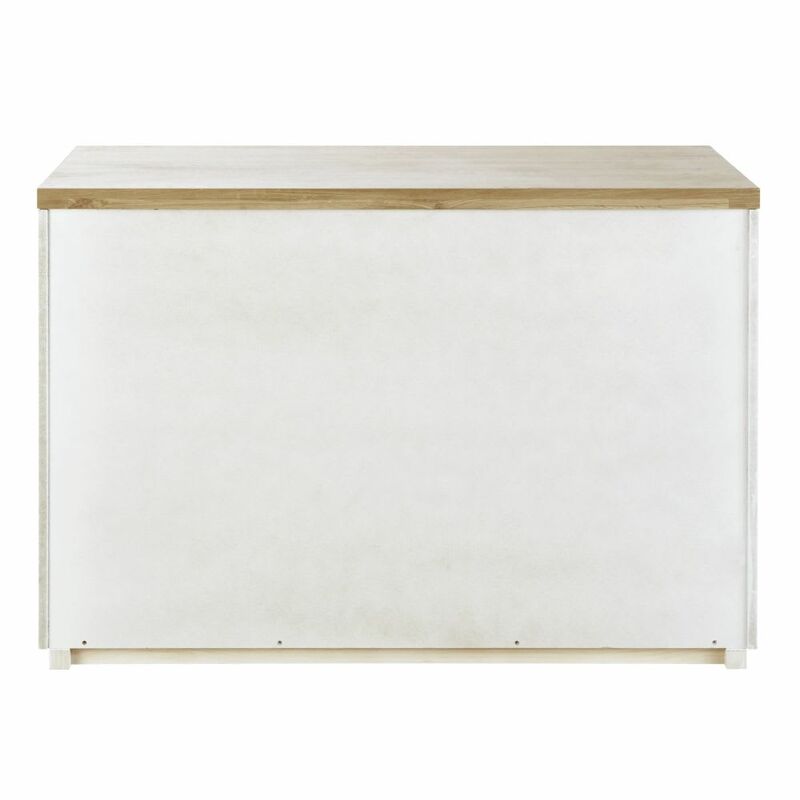 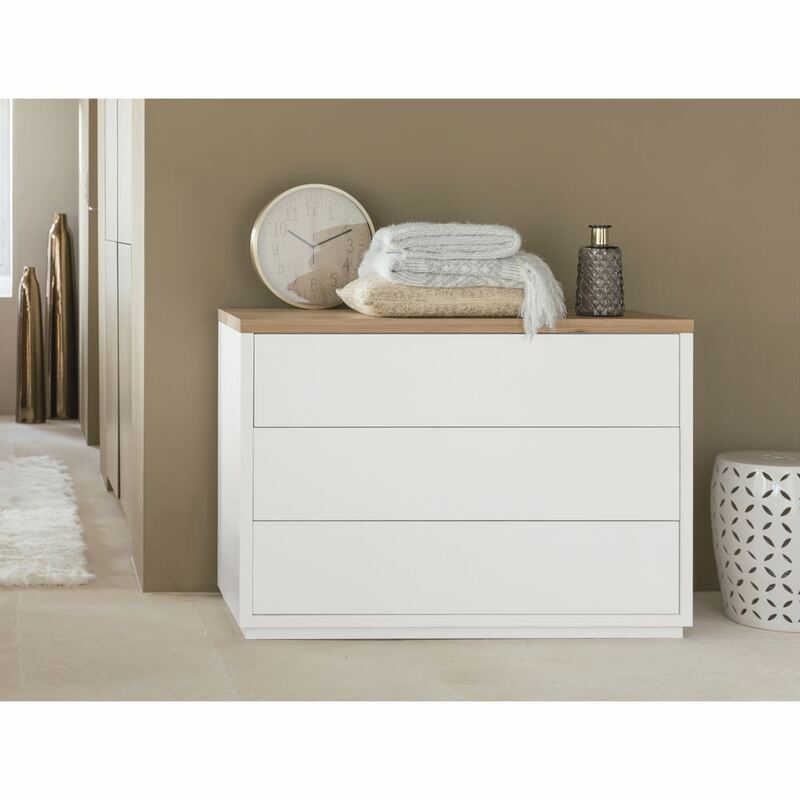 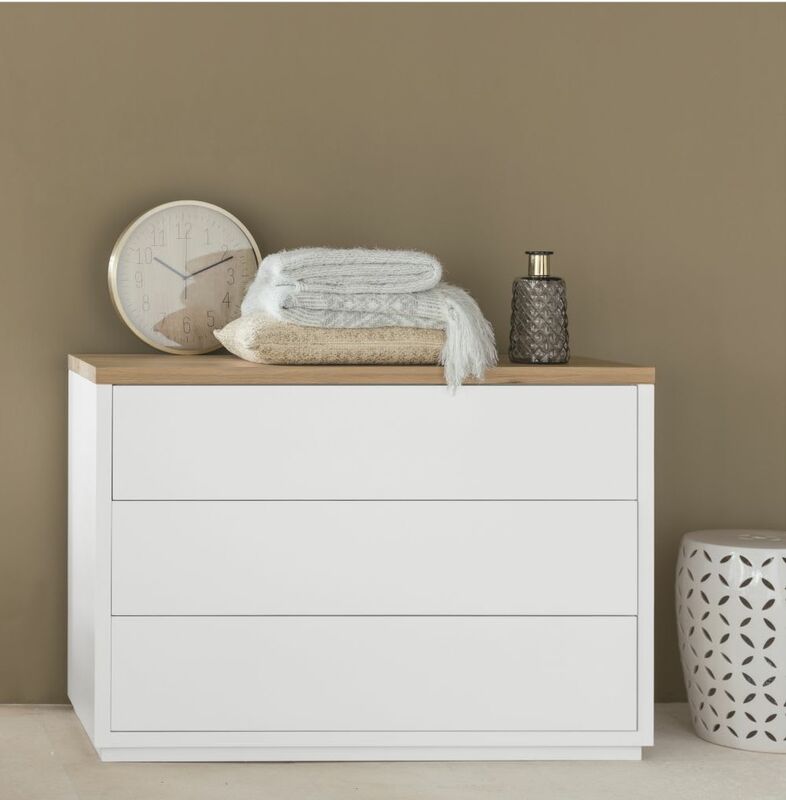 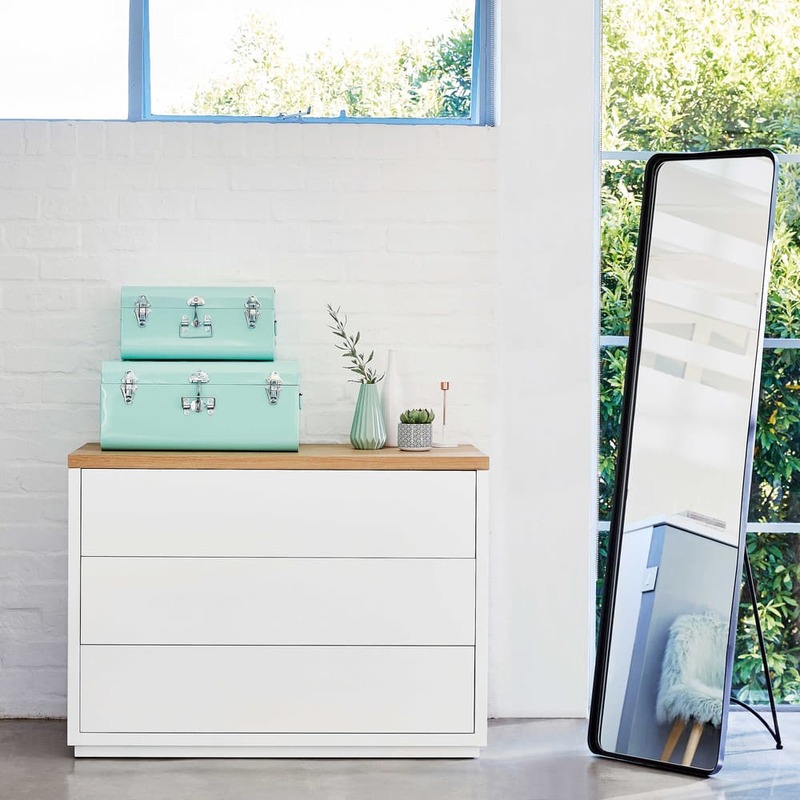 Opt for understatement with this AUSTRAL 3-drawer white chest of drawers. 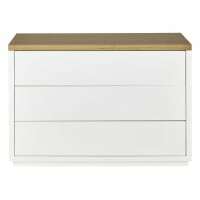 On the storage side, this chest of drawers will offer you the essentials with 3 large drawers on metal slides. 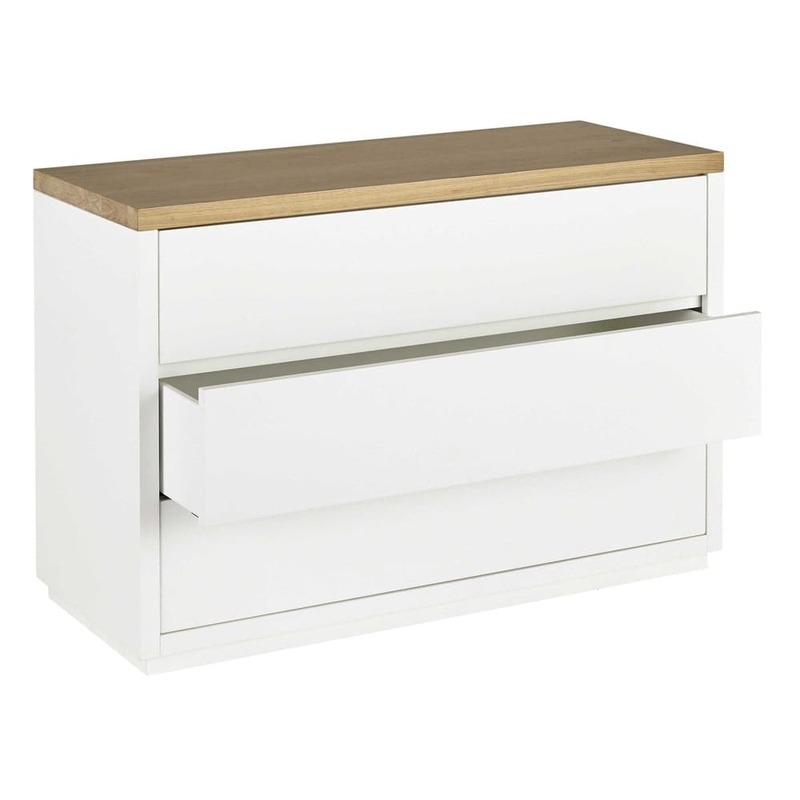 Practical, the drawers open by pressure. 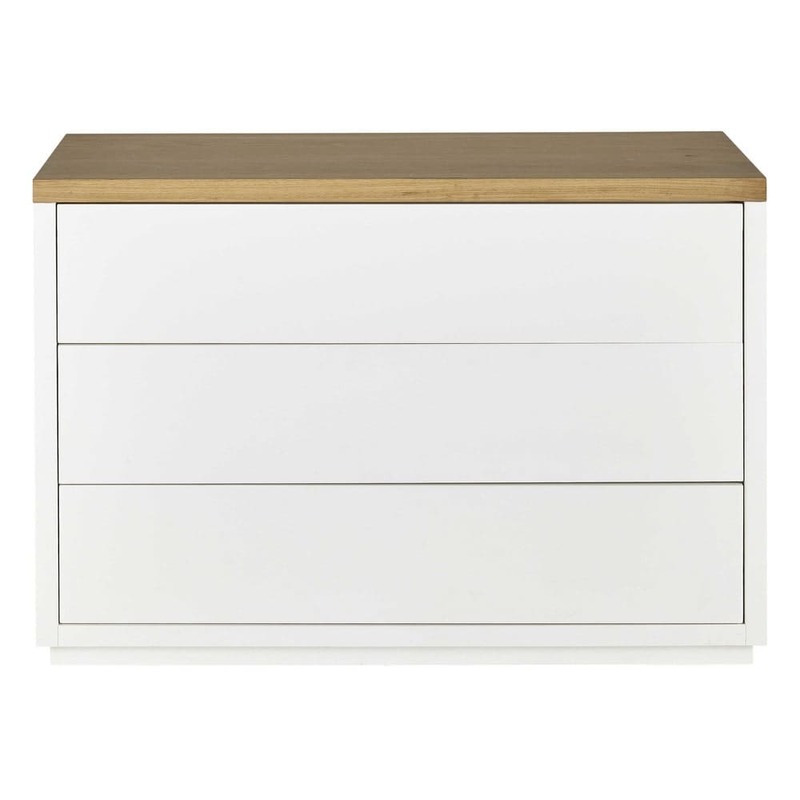 Design detail: the solid oak top contrasts nicely with the white. 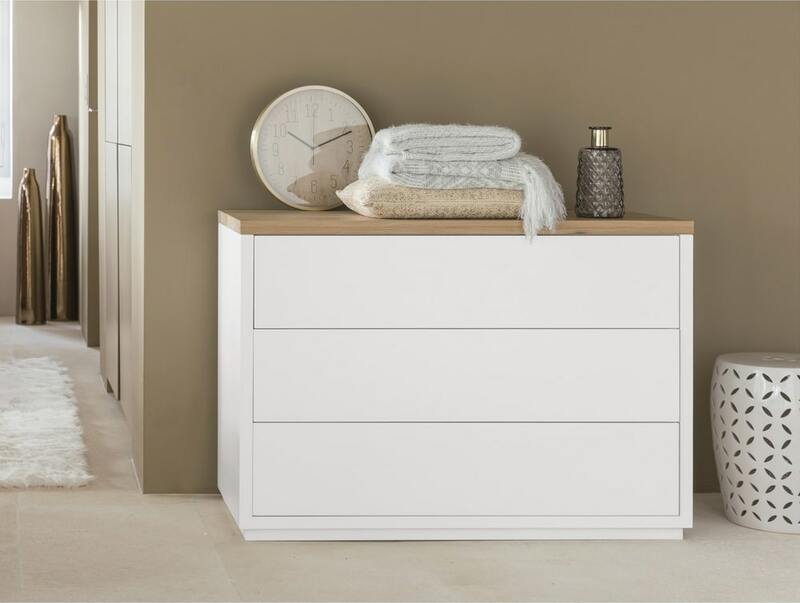 Enliven the tabletop with visually striking objects !